Saturday, August 25, 12:00pm-8:00(ish)pm at Marina Point picnic area at Chatfield State Park: Wombat!! The DSAO Handbook is one of the most important reference manuals for you and your orchestra student in helping to make their career a success. 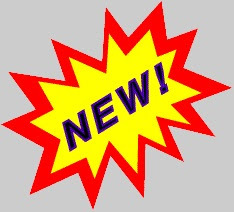 Please CLICK HERE to access the 2018-2019 Handbook, and either turn in the signed acknowledgment at the end of the handbook when attending Back-to-School Night. Otherwise, email your acknowledgment (no need to electronically sign the document) to Terrie Tyree by Saturday, August 25. Hello Orchestra Families! We hope that you’ve had a wonderful summer! School is starting soon and it’s time for our back to school picnic. We are having our picnic this year at Fred Thomas Park. We will be at the large pavilion on the north side of the park. This is an informal opportunity to meet our new families and reconnect with returning families. In addition, just like last year, you can complete, sign, and notarize your school forms at the picnic!! Heidi Martin and Heather Hampton have generously agreed to offer their time, talents, and legal authority to help everyone complete this important task. They will have a table set up under the picnic shelter where they will be notarizing DPS forms. There are forms for school trips, waivers for activities, and medical authorizations, and several require notarization which can be hard to accomplish. Get your forms completed, turned in, and checked off your list at the picnic! Forms will be available online and at the picnic. We will be ordering sandwiches from Jimmy John’s and are asking $5 per person to cover the cost. (please click here to pay via PayPal). We will have vegetarian, gluten free and dairy free options available, so let us know your preferences on sign up. Back by popular demand, we will have a “make your own sundae bar”! Coolers with dry ice will be available to keep the ice cream frozen. It’s hard to believe but summer has flown by and the beginning of the school year is just a couple of weeks away. That means it’s time to prepare for the orchestra’s annual team building day – WOMBAT!! 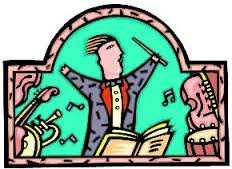 For those of you new to the orchestra, Wombat is an annual event the orchestra holds at the beginning of the school year to allow everyone to get to know our new members and re-connect with old friends in a casual, outdoor setting. Wombat got its name years ago — long before any of the current seniors attended DSA — from a prior conductor who loved wombats. The name has stuck all of these years later. Chatfield State Park lies southwest of Denver, off E-470. Here is a map to help you get to the park: http://cpw.state.co.us/placestogo/parks/Chatfield/Documents/Chatfield-Direction-Map.pdf. Once you are inside the park, follow this map to Marina Point Picnic Area: http://cpw.state.co.us/placestogo/parks/Chatfield/Documents/ChatfieldAreaMap.pdf It’s a bit hard to read, but Marina Point is the picnic area near the tip of the peninsula that juts into the lake. Because this is a Colorado State Park, there is a fee of $8 per car per day to enter the park. We recognize that not all families can afford to pay the entrance fee while others may not have the time to drive all the way down there to get their kiddos to the park. 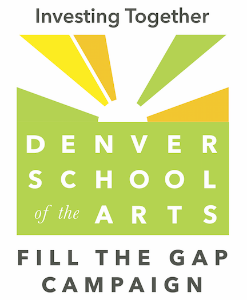 Therefore, as in years past, carpools will be leaving DSA promptly at 11 a.m. to take kids in need of rides to Chatfield, returning to DSA between 8:30 and 9pm. (Please note, return time to DSA is approximate, so check with your child or the driver for a more accurate arrival time.) If you are able to be a carpool driver, please click here to sign up: https://www.signupgenius.com/go/10c054ba9a92aa5f94-august5. If you are in need of a ride, simply sign up on the sheet in the orchestra room during that first week of school. All parents of students catching a ride to Chatfield will need to fill out, sign, and submit a permission slip or your student will not be able to ride with another parent. Alternatively, if you can get your child to and/or from Chatfield, but don’t want to drive to the picnic area or pay the entrance fee, we will have shuttle drivers at the Plum Creek (south) entrance on Roxborough Park Rd., which is the entrance closest to the Marina Point Picnic. Shuttle drivers will be stationed at the entrance from 11:45 to 12:15 to take kids to the picnic area; pick up at the entrance will be between 8 and 8:30pm. All children must be met and picked up by 8:30. And, of course, bringing your kiddo and donations all the way to the picnic area is always an option. Please note that this year we’re asking students to either bring a lunch with them to eat at the park, or eat lunch before they arrive at the park. We will not be preparing lunch at the park for the kids because of the later start time. The seniors and juniors are in the process of organizing lots of fun activities, team-building games, and get-to-know-you interactions. There will also be paddle-boarding and/or kayaking on Chatfield Lake, a beach where you can hang out with your friends, and team skits presented at the end of the day by each team for everyone’s enjoyment. 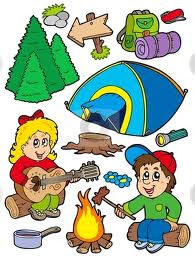 The cost for the park reservation fee and all of these activities is $25/student, payable to DSP by check or cash. We’ll be collecting the fee at the back-to-school picnic on August 19, and also have waiver forms available for the paddle boarding. Please click here for the paddle-boarding waiver form. Terrie Tyree will be also be collecting money and forms in the forms box in the orchestra room the first week of school. To make this day as fun for everyone as possible, please consider leaving your pet at home. Parents, if you’d like to let your dog scamper around the park, please plan on staying at the park with your dog. Chaperones are not responsible for caring for your pet and your student will be too busy with activities to keep an eye on Fido. Thank you. Wombat will be tons of fun and we’re looking forward to seeing as many orchestra members as possible at the park on August 25!! 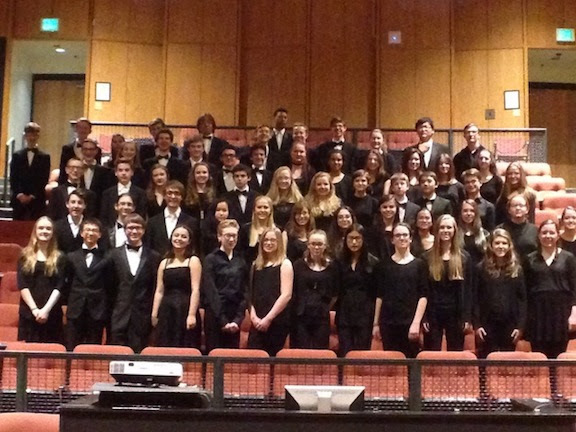 The High School string orchestra has been invited to play at CMEA in January 2019! We will probably perform Tchaikovsky Serenade there (all movements are now on the website). Please study Bartok Divertimento (on the website) since there’s a good chance we will be performing this as well next year. I want to take this opportunity to invite and encourage all of you to come see me (and other teachers) during Back to School night. This is one of the few opportunities I have to communicate with you as a group in order to explain certain things about the program. It’s also a chance for you to ask questions you might have. I would be very grateful if you could make an effort to attend! 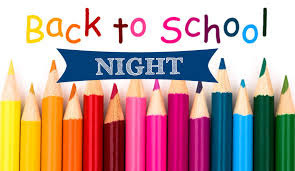 Please put August 23rd on your calendar for DSA’s Back to School Night.